Ongoing pregnancy project. 6 weeks-25 weeks so far! Total Weight Gain: I’m up 2.5 lbs. 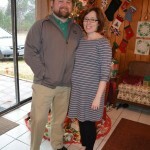 from pre-pregnancy weight. Movement: She’s still SUPER active. Sleep: Frequently disturbed by trips to the bathroom, things falling asleep, and wild dreams. Still…I seem to be sleeping well otherwise. What I Miss: Being able to buy normal clothes. Symptoms: The frequency of my trips to the bathrooms has quintupled in the last week or so. 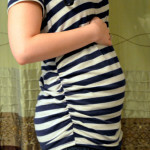 Maternity Clothes: Again, I really, really miss non-maternity clothes.